Pregnancy can take a toll on a woman’s body and experts agree that women considering pregnancy, or who are pregnant or nursing, should take prenatal vitamins and other supplements, to ensure the best nutrition possible. A deficiency in certain substances, such as folic acid, can put your developing baby at risk for neural tube birth defects, while low iron is associated with fatigue and anemia. Here’s a look at the leading supplements recommended during pregnancy. Vitamin A, D, E, and K are stored in the liver, and you should know that too much vitamin A can cause problems for your baby’s bones, urinary tract, and the central nervous system, which is why it’s important to take a prenatal vitamin instead of a general multi-vitamin, which may contain too much vitamin A. If you’re a nursing mom, your baby is receiving these vitamins through your breastmilk, except perhaps enough vitamin D. Many care providers are now recommending that both mom and baby take vitamin D supplements. 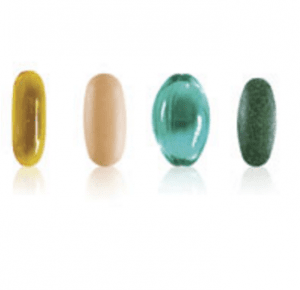 Omega-3 and omega-6 fatty acids are important in fetal growth and development, and many experts are now recommending pregnant women take pure quality fish oil capsules in pregnancy, particularly to avoid any mercury in acquiring essential fatty acids from fish sources. DHA, which is in the omega fatty acids, is known for brain and retinal development and it has been linked to decreases in premature deliveries. Coldwater fish such a salmon and mackerel are good sources of omega-3, as are walnuts and flax seed. Experts recommend pregnant women limit their intake of fish with high levels of mercury to no more than 1-2 fish meals per week. Prenatal vitamins contain iron, which increases blood production and prevents anemia. Extra iron should be used only under your healthcare provider’s recommendation. Your care provider will order blood work to check your iron levels. If your care provider has recommended an iron supplement, take it between meals or at bedtime with orange juice or another source of vitamin C if you experience nausea, heartburn, constipation, or diarrhea with it. Don’t take iron with calcium, milk, tea, or coffee, because those substances can decrease its absorption. Folic acid is important because it can reduce the risk of your baby having a neural tube birth defect, while it may also protect against cleft lip and cleft palate. You should begin to take folic acid—400 micrograms daily—prior to pregnancy because NTDs usually occur in the earliest days of development, before you may even know you’re pregnant. For a healthy pregnancy, you need about an extra 300 calories a day, and adding a supplement ensures that whatever you’re eating—or not, depending on your level of nausea—you get the nutrition you need each day.